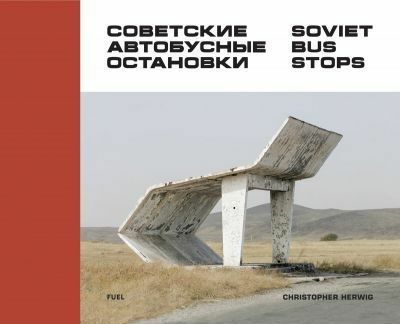 Photographer Christopher Herwig first noticed the unusual architecture of Soviet-era bus stops during a 2002 long-distance bike ride from London to St. Petersburg. Challenging himself to take one good photograph every hour, Herwig began to notice surprisingly designed bus stops on otherwise deserted stretches of road. Twelve years later, Herwig had covered more than 18,000 miles in 14 countries of the former Soviet Union, traveling by car, bike, bus and taxi to hunt down and document these bus stops.The local bus stop proved to be fertile ground for local artistic experimentation in the Soviet period, and was built seemingly without design restrictions or budgetary concerns. The result is an astonishing variety of styles and types across the region, from the strictest Brutalism to exuberant whimsy.Soviet Bus Stops is the most comprehensive and diverse collection of Soviet bus stop design ever assembled, including examples from Kazakhstan, Turkmenistan, Uzbekistan, Kyrgyzstan, Tajikistan, Ukraine, Moldova, Armenia, Abkhazia, Georgia, Lithuania, Latvia, Belarus and Estonia. Originally published in a quickly sold-out limited edition, Soviet Bus Stops, named one of the best photobooks of 2014 by Martin Parr, is now available in a highly anticipated, expanded smaller-format trade edition. Why Russia has the world's most beautiful bus stops ... Architects may have felt creatively stifled in the old Soviet empire - but there was one place where their imaginations were encouraged to run riot: the bus stop.--Oliver Wainwright "The Guardian "